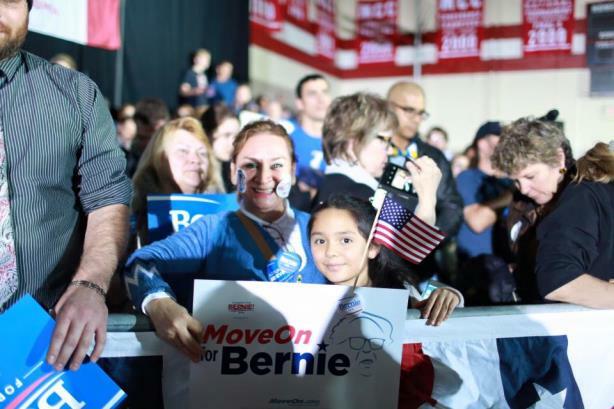 Supporters of Sen. Bernie Sanders. (Image via the Sanders for President Facebook page). WASHINGTON: Donald Trump may not be the knight in shining armor many Republican voters initially envisioned, but some of his attributes are causing them to readjust their preferences, according to a study from Golin. The firm released its Relevance Survey of 2016 Presidential Candidates on Friday. It revealed that while the Democratic candidates represent what their constituents want in a leader, "what Republican voters have in mind for their ideal president does not match up with what they associate with the 2016 candidates." More than half of Republicans described their ideal candidate as honest and reliable and someone "most suited to representing America’s interests," yet none of the six candidates scored above 36% for any of those categories. More than one-third (36%) of Democratic respondents said their ideal candidate would be someone they admired, which rang true for only about a quarter of Republicans. When it comes to whom Republican voters are keeping tabs on, Trump command another lead with 68%, according to the data. Behind him were Sens. Ted Cruz and Marco Rubio, with 41% and 38%, respectively. Jeb Bush, Chris Christie, and John Kasich trailed with 28%, 27%, and 16%, respectively, while 5% of Republican voters selected "none." Golin used its "Relevance Fingerprint Model" for the survey in an effort to determine which subject is most relevant to its target audience, as well as what attributes drive that relevance. Hardy Spire, executive director and bridge chief at Golin, said on the Republican side, Trump was the candidate most likely to create change. For the Democrats, Sen. Bernie Sanders tracked better in terms of honesty, but former Secretary of State Hillary Clinton performed better on "representing the US," he said. Voters were most likely to overlook the former than the latter. "People are willing to give up their ideals in order to get what’s available," he added. Spire explained that Trump, a business mogul and reality TV star, "probably knows the power of brand better than [the other candidates], and how to sell a brand." The firm noted that it tried to look past the horse race style of polling and evaluate the candidates in a way that mirrors how it might counsel a brand client. "The idea of figuring out a brand’s relevance seems to have more power than we thought it had. We can actually apply it to something else other than the typical client product," said Spire. Another major lesson was pointed out in the study, Spire added. "A brand that is consistent and confident and doesn’t try to reinvent itself, I think would be the most successful," he said, noting that might be why some candidates are struggling. "When it comes to other qualities, they don’t see consistency." The firm surveyed 2,027 registered voters, consisting of 805 Democrats, 531 independents, and 691 Republicans or independents who lean Republican. This story was updated on February 2 with additional information. Your call: Who won the long-awaited slugfest at the sixth Republican debate?